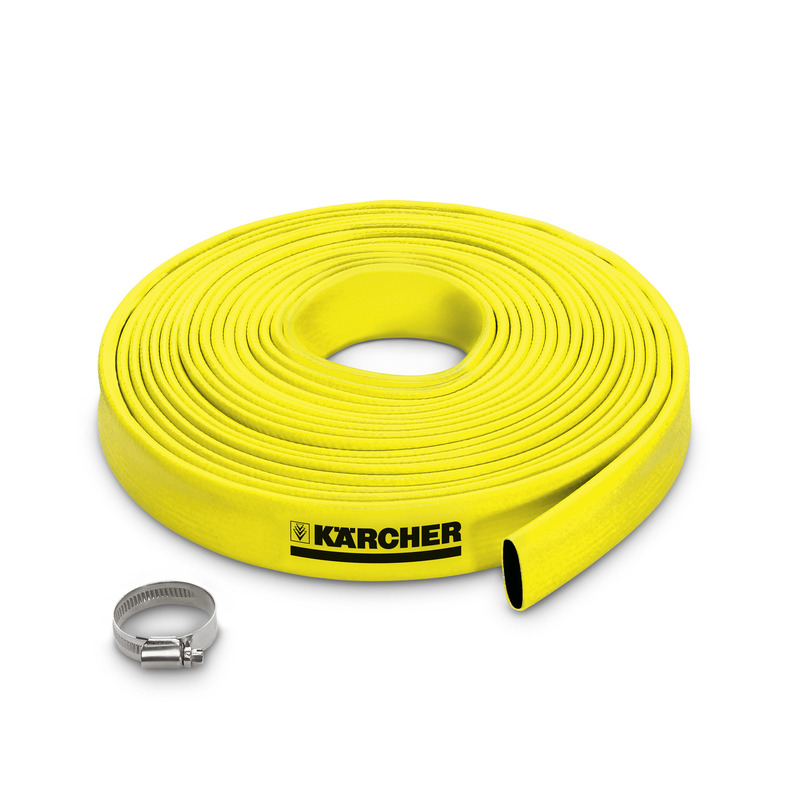 Flat hose with hose clamp 69974190 https://www.kaercher.com/ie/accessory/flat-hose-with-hose-clamp-69974190.html Flexible flat hose with hose clamp for general use. Ideal for use in flooded areas. Flexible flat hose with hose clamp for general use. Ideal for use in flooded areas. Especially space-saving, as it can be rolled flat. 40% savings on weight and 90% savings on volume compared to a standard feed hose. Flexible flat hose made from PVC and textile fabric lining with a zinc-plated 25 - 40 mm hose clamp. Especially recommended for removing water in the case of flooding. Flat hose with hose clamp is rated 5.0 out of 5 by 1. Rated 5 out of 5 by ion2016 from I bought this product 2 months ago and I'm satisfied with it.